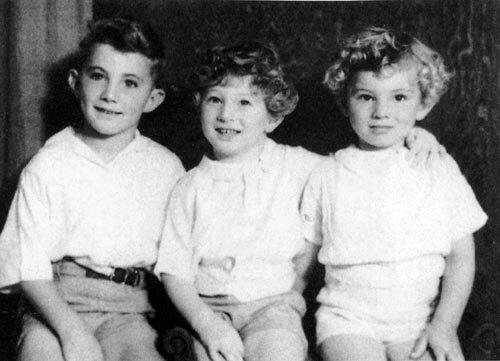 A young Barry Crump (centre) poses for a family photograph with his brothers Colin (left) and Bill. Their father’s violence marred the children’s early years, but Barry found an escape through reading and listening to radio serials. Reference: Barry Crump, The life and times of a good keen man: an autobiography. Auckland: Hodder Moa Beckett, 1996.